Darren R. Bieganek, QC is the leader of the insolvency & restructuring practice group at Duncan Craig LLP. He has been retained to act for debtors, creditors, trustees, receivers and monitors in some of the largest, most complex insolvencies in Northern Alberta. Darren also acts as counsel on complex corporate and commercial litigation matters including shareholder disputes, complex creditor remedy actions, priority disputes and construction litigation. Darren serves as the leader of the Financial Services Practice Group at Duncan Craig LLP. Darren has been recognized by his peers as a leader in the Insolvency and Restructuring field having been selected for inclusion in Canada's Best Lawyers since 2008 and receiving recognition in Lexpert as consistently recommended in the area of Insolvency and Restructuring since 2011. Called to the Alberta bar in 1990, Darren joined the firm in 2001 after practicing with the Edmonton office of a well known national firm. He has appeared at all levels of Court in Alberta, and has also appeared before the Federal Court of Canada. Darren has prepared a number of papers for LESA. He has also prepared and presented papers to sections of the CBA, has been a lecturer for the Bar Admission Course and has presented to seminars for the Canadian Association of Insolvency and Restructuring Practitioners and Insight. Darren is a member of the Law Society of Alberta, the Canadian Bar Association, the Edmonton Bar Association, the Turnaround Management Association, and the Canadian Finance and Lease Association. Darren is also a member of The Insolvency Institute of Canada (IIC). Darren was honoured to receive an appointment as Queen's Counsel in 2012. The appointment recognizes outstanding contributions to the legal profession and the community. 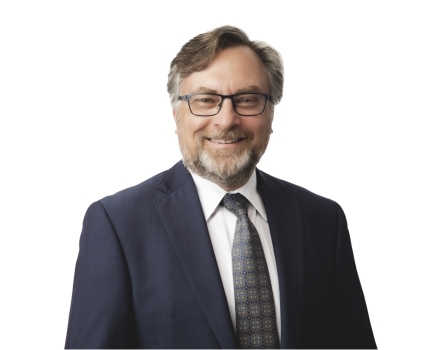 Best Lawyers, the oldest and most respected peer-review publication in the legal profession, has named Darren Bieganek, QC as Best Lawyers "Lawyer of the Year for Insolvency and Financial Restructuring Law" in Edmonton for 2015. Only a single lawyer in each specialty in each community is honoured as the "Lawyer of the Year." Darren is also passionate about community involvement. He has been a community soccer and hockey coach and is actively involved in politics. In his spare time he enjoys time with his family, running and sailing. Today over the lunch hour, managing partner Darren Bieganek, QC put his skills to the test at the Corporate Challenge - Game of Throwns Kick off Pep Rally. The Edmonton and Area Corporate Challenge Games were started in 1992 with the goal of bringing together local businesses to compete in a variety of sport and recreation events. The games run May 23 to June 6th. Come cheer us on! Assessing a Monitor's Accounts is not a Rubber Stamp Exercise: Re: Winalta Inc.
Real Estate Development And Construction Project Insolvencies: Is Debt Restructuring Feasible?